Hello Tiggerific Travels Blog readers! Today I have a fun post for you! July 30th is National Cheesecake Day! To celebrate. we have a fun recipe for you! 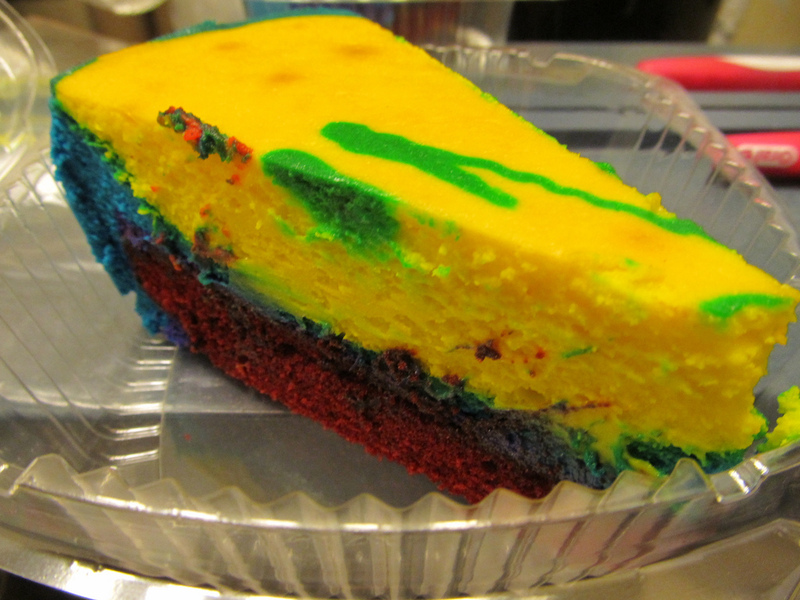 The Tie-Dye Cheesecake comes from the Pop Century Resort at the Walt Disney World Resort where you can buy this psychedelic treat from the quick service restaurant. But for those of us who can’t be at Walt Disney World Resort to grab one of these today, why not make one of your own? Delicious red velvet cake topped with bright colorful cheesecake! I find that those fun new neon food colors make an awesome and colorfully fun cheesecake.